This image prompts us to transform into who we truly are. 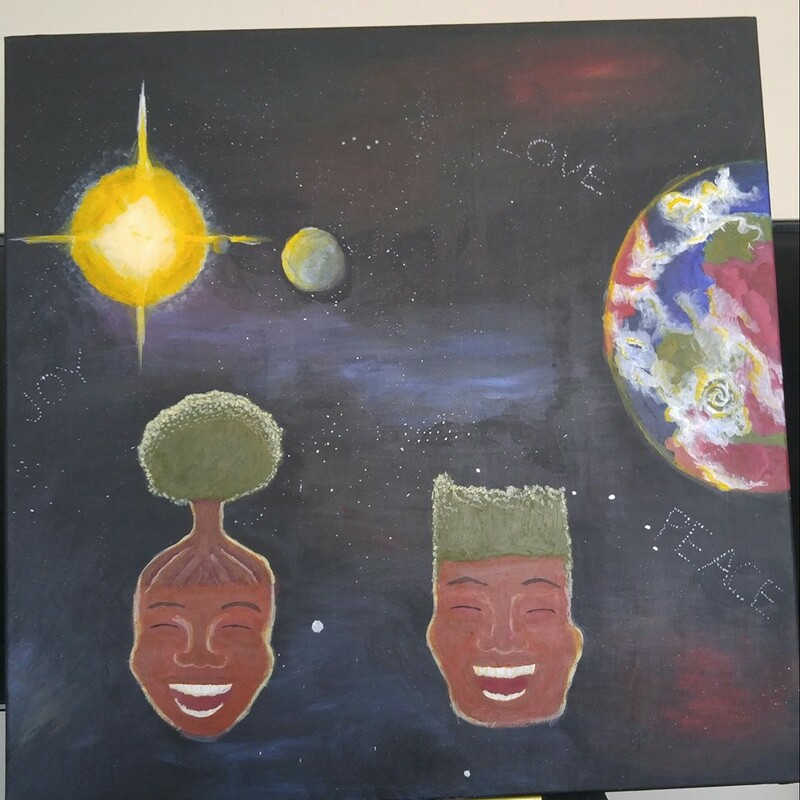 a healing painting that was donated to a few designated leaders within the movement. This piece exists within the 3rd, 4th and 5th dimension to ground a unifying energy for people of color in the face of adversity. It reminds us to enjoy joy without guilt. It reminds us to LOVE with the infinite understanding of the universe. It reminds us to LOVE our divine feminine and our divine masculine. Peace be unto all peoples. It represents how we are surrounded by the universal LOVE as it shines through us. It reminds us to stand strong and shine bright. Allow it to emanate and permeate! This painting shows us how the infinite waters of life can be projected as well as received. It reminds us that they never end or begin but always continue. 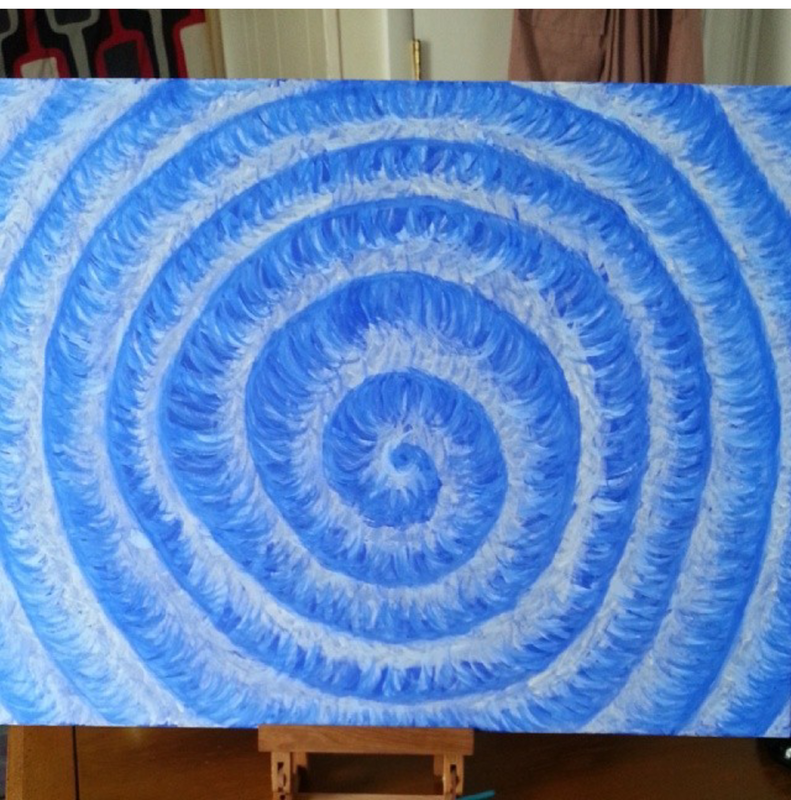 This painting can be used to manipulate ones emotions helping us to ground and center.